SERVPRO of Southeast Jefferson County has the capabilities to handle any size commercial loss. Being the largest restoration company in the state allows us the ability to help large commercial properties. 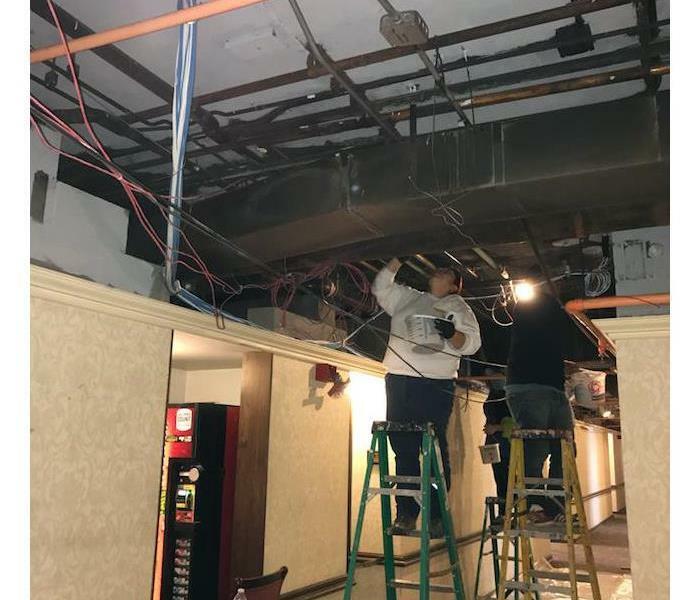 Early last year a large hotel in the city had a fire that produced a significant amount of smoke and water damage to multiple floors. With a large event scheduled that week, SERVPRO of Southeast Jefferson County was called in to mitigate the damage. We had the hotel up and running in a matter of days, allowing the hotels business to continue as scheduled. We received a call from a large commercial property along the Ohio River that had received extensive damage do to flooding. We mobilized our crews and prepared to assist as the flood waters began to receded. within a week we had the mud and water removed and had them on their way to drying and soon back in business. With Emergency Ready Plans in place, as well as SERVPRO National accounts, we are ready assist with any large claims a moments notice. We make it "Like it never even happened."